Marianne Caldwell had ample opportunity to play various parts in Shakespeare after her London debut in 1886. She played for several seasons with Forbes Robertson in his company—which had several of Shakespeare’s plays in the repertory—at the Lyric Theatre in New York City. 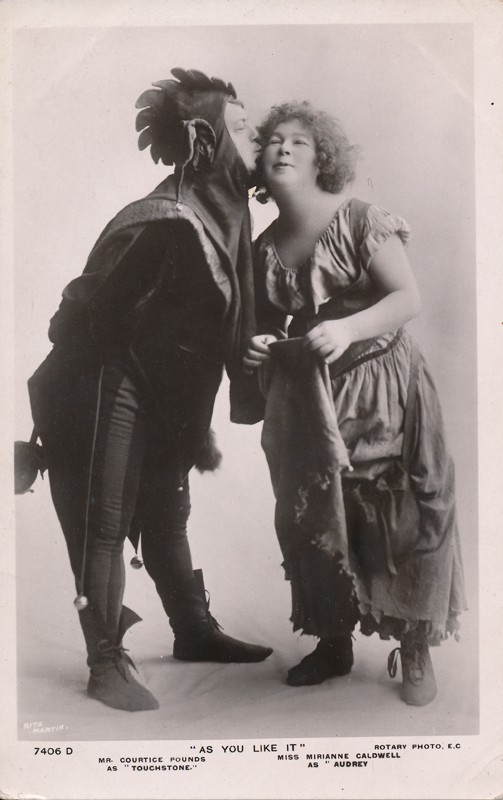 In 1907, she played Audrey at His Majesty’s Theatre in Oscar Asche‘s revival of As You Like It. In 1913-14, she toured Australia and South Africa with Lewis Waller, another Shakespearean, and his company. From 1916 until 1921, she was with Oscar Asche’s group at His Majesty’s Theatre; she died in 1933.